Dr. Ronald Trevisani believes that his patients deserve the absolute best tooth restorations that dental technology can produce. He understands patients want beautiful, permanent restorations that look identical to natural teeth; he also understands that patients don’t have a lot of time to spend waiting for their custom restorations to be crafted and shipped from an off-site laboratory. That is why Dr. Trevisani is pleased to offer the Prettau zirconia dental implant system at his full-service Orlando implants practice. 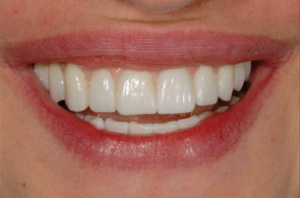 What Are Prettau Zirconia Implants? Prettau zirconia implants are acrylic-free tooth prosthetics from Zirkonzahn. Zirconia is a stronger and more durable material than traditional porcelain, and is therefore better suited to permanent tooth replacements. The implants are stable and resistant to chips, cracks and stains. Prettau implants can be used to replace a single tooth or multiple teeth. 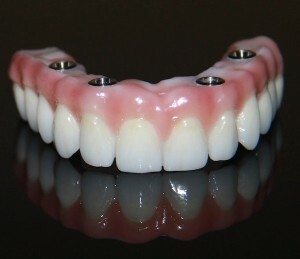 The Prettau Dental Bridge is a comprehensive dental solution to replace an entire arch of teeth (similar to the look of a set of dentures — only more lifelike!). Dr. Trevisani’s office features a full-service dental implant lab to coordinate the entire Prettau implant planning and placement process, all under one roof. Planning: Dr. Trevisani will take a CT scan and impressions of the patient’s jawbone, surrounding teeth and anatomical structures. This information is critical to planning the placement of the implant(s). 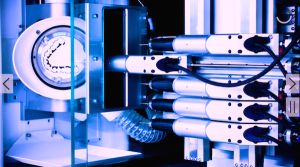 Design: The diagnostic information is scanned into the computer-aided design/computer-aided manufacturing (CAD-CAM) program. Dr. Trevisani and his team get to work designing the Prettau implant solution. This could be a single tooth implant restoration, an implant-stabilized bridge or a complete arch restoration. 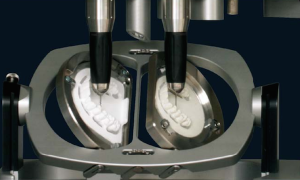 Milling: The Prettau implants are milled from a solid block of zirconia to the patient’s exact specifications. The results are beautiful, durable and long-lasting. The implants are then fitted and placed, and any last-minute adjustments are made. Patients with the Prettau zirconia implants can enjoy their stable, beautiful tooth replacements for years to come. The implants look identical to natural tooth enamel, so no one will be able to distinguish the restoration from existing teeth. They are also extremely durable and can withstand normal chewing and biting function without chipping, cracking or substantially wearing down. And, zirconia implants are smooth and therefore less abrasive on surrounding natural tooth dentition. Another primary advantage to the Prettau zirconia implants is that they are custom designed and milled based on the individual patient’s specifications. Dr. Trevisani uses CAD-CAM technology to design, plan and fabricate the Prettau implants right in his office. Patients can walk out of the office with a brand-new, gorgeous smile! If you are interested in learning more about the Prettau zirconia implants and how they can completely rejuvenate your smile, please contact Dr. Trevisani’s office today. Call or email us to schedule an informational consultation.